In a statement issued through his agent, the couple said their baby, Poppy, was delivered stillborn in London on Saturday. Dawn was eight months pregnant. On July 5, Barlow tweeted that Poppy was due to be born in seven weeks' time. 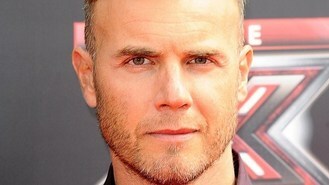 In the statement, Barlow said: "Dawn and I are devastated to announce that we've lost our baby. Poppy Barlow was delivered stillborn on August 4 in London. The 41-year-old singer had previously spoken about how he was looking forward to becoming a father for the fourth time with his wife, a 42-year-old dancer. Speaking at the time, he told fans: "We are a very excited family." In April, Barlow, already a father to Daniel, Emily and Daisy, wrote on Twitter: "There's gonna be another girl in the Barlow household!" He was recently asked by a fan on the website how Dawn was, and replied: "gr8 tanx, 7 weeks to go." In June he was crowned celebrity dad of the year.